According to the NHS, and the Food Standards Agency, rice can give you serious food poisoning – as bad as meat, even. The Food Standards Agency explains: "It's not actually the reheating that's the problem – it's the way the rice has been stored before reheating." The good news is that it's easily avoided. There are steps you can take in order to ensure you don't encounter harmful bacteria. Mainly, it's down to how the rice was stored after being cooked for the first time. Rice contains spores of a potentially harmful bacteria strand called Bacillus Cereus. These are small cells that are capable of reproducing quickly and might make you ill if they're allowed to manifest. If rice is left standing at room temperature after it's been boiled, these spores might become damaging bacteria, which produce toxins that cause vomiting and/or diarrhea. 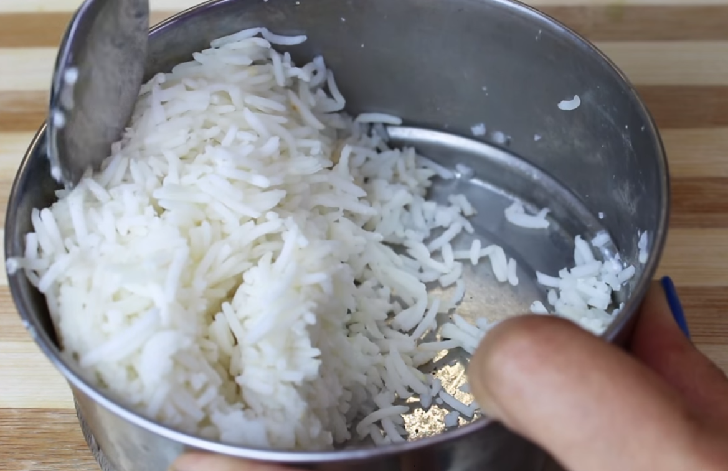 The longer rice is left, the more likely it is you'll get ill.
After cooking rice, it's best to eat it soon after (you don't have to be neurotic about it, though). Anything leftover is important you cool quickly – not in the fridge. The NHS recommends doing so within an hour. After it's cooled, put your rice in the fridge. It'll be fine for a day or so.